On paper it’s a pretty simple build, but what I’ve come to learn after all these years is that simple isn’t always easy. A lot of times builds become overzealous in scope, (which shouldn’t be considered a negative thing if managed properly) and miss their mark completely. Practicing self-restraint when piecing together a car has it’s benefits, as you can see in the final outcome of Koide’s EK9. 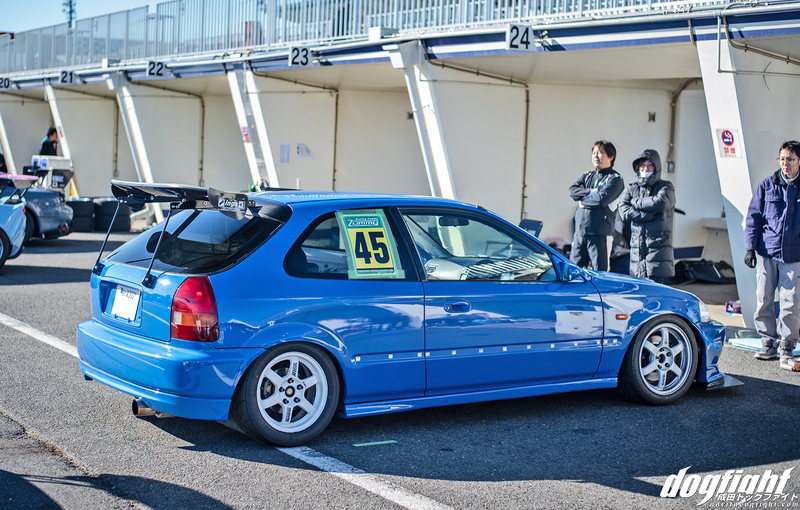 A tasteful departure from it’s neighbors in the paddock at Tsukuba. 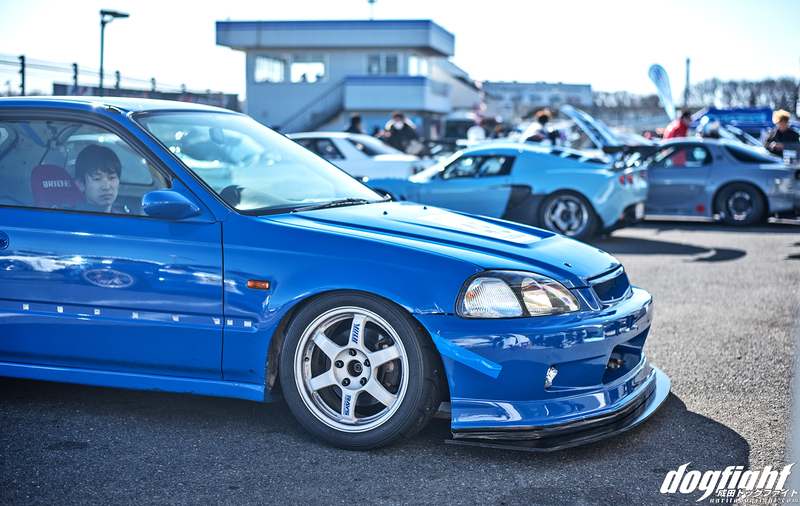 A 16/15 staggered set of white TE37’s compliment the paint color nicely. An Ings+1 GT wing is mounted atop the hatch with a custom mount provided by Garage Work. 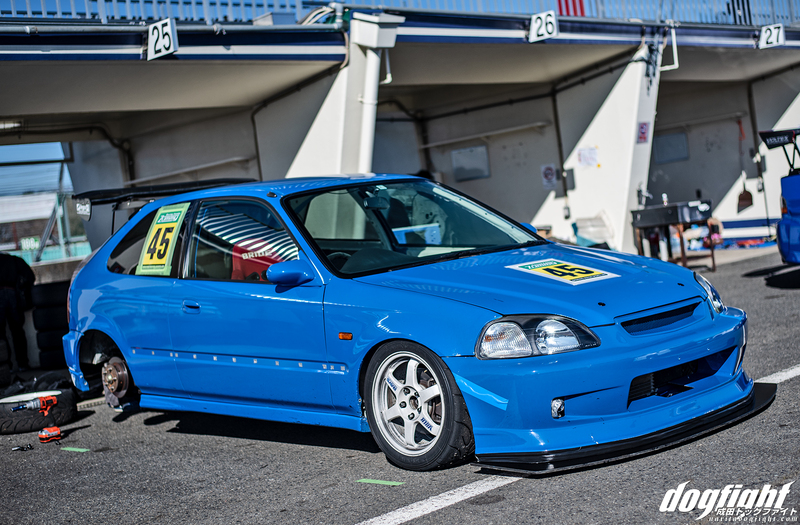 A J-Blood front bumper with the addition of a front splitter balances out the aerodynamics of the small hatchback. Spoon mirrors make up the only remaining aftermarket accessory on the car. Another good example of less is more. 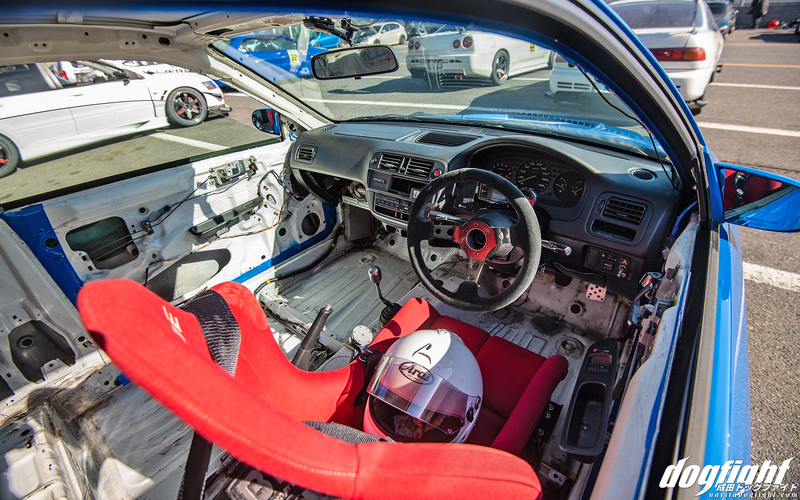 With the B-series motor screaming at the top of the RPM range, Koide took the car around TC2000 in a respectful 1’02.878 on Advan A050s. The stripped interior helping to relieve some unnecessary weight from the chassis; which no doubt helped him achieve his personal best time during this event. 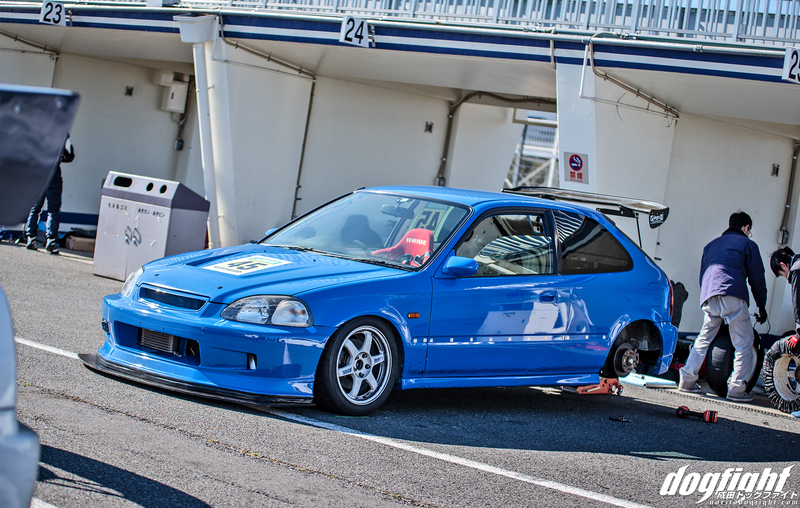 With Round 1 of VTEC Club coming up next month, I thought it was appropriate to share this great example of what can be had with just a little thought; and a little restraint.